What is a bricoleur? How is a bricoleur different from a polymath? Who are some famous bricoleurs? Are our schools educating children to be bricoleurs? Are you a bricoleur? Let us latch onto a different kind of concept. It is useful. It is powerful. Thanks for this call-out on my conversation with Lee Thayer. 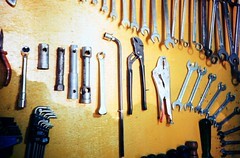 I am intrigued by the Bricoleur concept and love listening to Thayer discuss it. Your post is very timely, considering the state of our economy at the moment. Yvonne, thank YOU and great point about the state of the economy and its relevance to the Bricoleur concept. Please get in touch if you and Thayer record any more conversations. Two more Denis Johnson audio pieces have come to my attention. 2. The second, I found simply by searching via Yahoo. It is an hour and twenty minute reading/conversation with Denis Johnson. The reading is a long excerpt from Johnson’s magnum opus, “Tree of Smoke,” read by Johnson himself. This is followed by a conversation between Johnson and executive editor and founder of Salon.com magazine, Gary Kamiya. The conversation, in particular, is insightful as they discuss the craft of writing, the success of Jesus’ Son, influences and much more. Thank you again, too, for the initial spur into action that set this in motion. The piece you provided and the reading/conversation are both great treasures. Keep an ear to the ground and keep in touch. J.
I carry Denis Johnson’s little book, “Jesus’ Son,” with me like a bible, like a book of spells: enchanting, charming and devilishly satisfying. It is the perfect book to read in the morning, at the bus stop, on the train or in the waiting room of a hospital. Perhaps it is my admiration of Raymond Carver, who Johnson studied with, that helps draw me closer to Johnson, or perhaps the way his characters interact, the places they go, or their inner dialogue that ignites something within me. It is hard to pinpoint. Last week, I posted a link to a reading by Robert Coover, an audio file, a chance to hear the author’s voice, to experience the text aurally, from without. 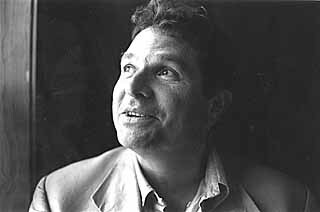 Today, I present more than several links to precious gems that I came across: audio links, video, text…all from Denis Johnson. For those of us who are students of the “virtual classroom,” self-learners and maniacs, this provides a nice learning experience. I believe that hearing the voice of the author is important. The rhythm which with the author reads varies from my own rhythm, the tone of voice, the pauses, the intonation. Being an audiophile, I appreciate these things and hope that you will, too. If you are aware of more Denis Johnson audio and video available online, please contact me or leave a comment with the relevant link. Thank you and enjoy. awesome post and cool links! thanks! Thank you very much. I’m happy for the support. Today’s present for you is a gem that we found at “Archive.org.” The gem is one hour with one of our favorite writers, Robert Coover. In this hour of audio, you will hear Coover reading his short story, “The Invisible Man” and more. With pristine audio quality and no charge to you, the listener, what better way to spend your day. 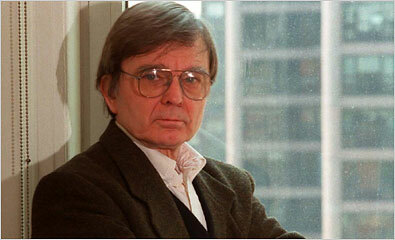 If you are aware of any other Robert Coover readings or lectures that are available online, please contact us. Or, if you just feel like reaching out and talking, get in touch. Happy Sunday.